Classic and chic this is a wonderful design to layer or wear alone. 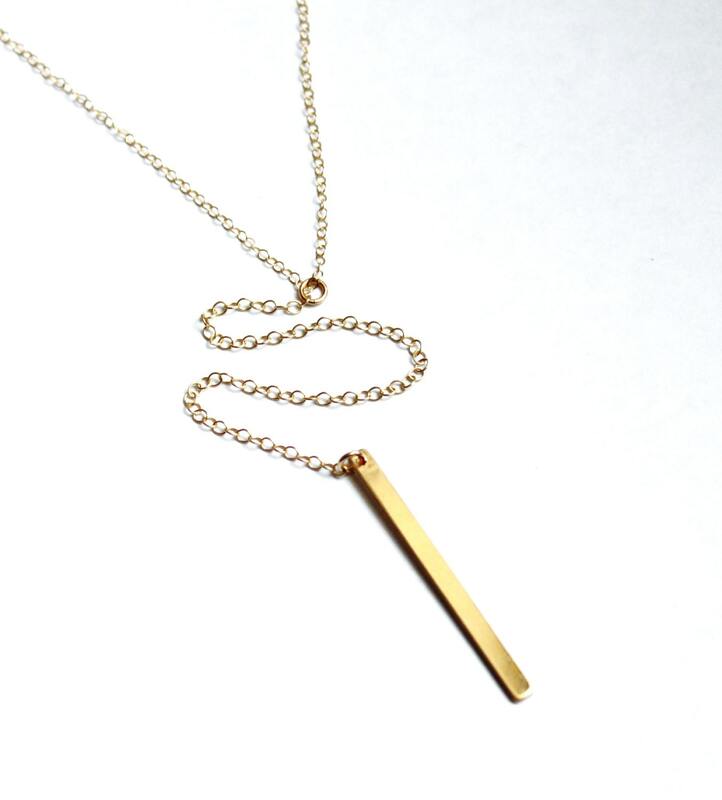 Available in gold, rose or silver, this design is perfect for everyday. 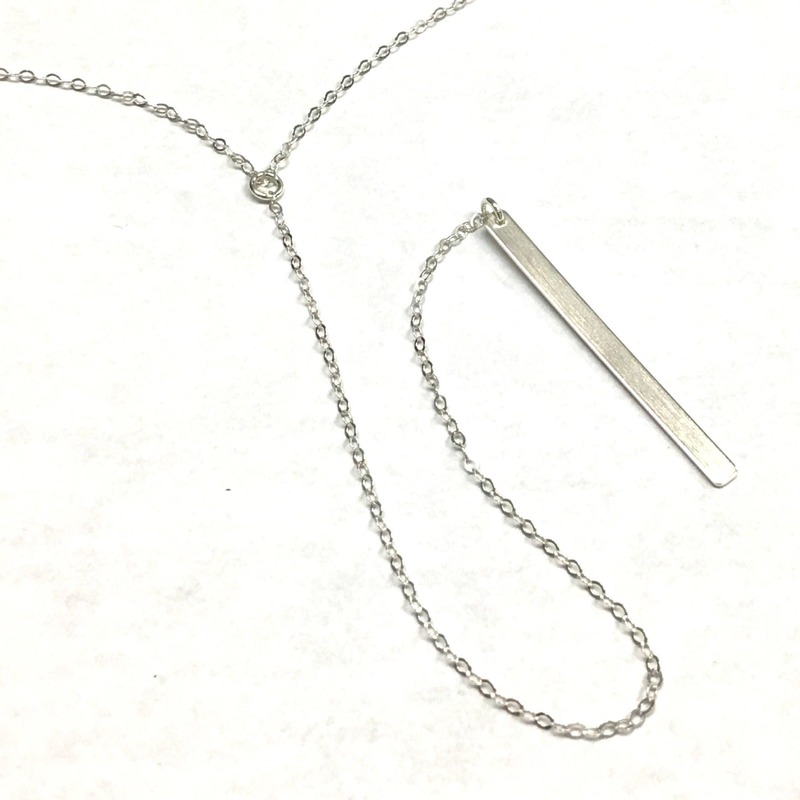 -Pendant bar drop is 6 inches total length. - Model is wearing 24" in Photo 1. -Set of two necklaces available at checkout, standard 18-24 inch lengths. I love it! Just what I wanted. I love this lariat it is delicate but nice quality. It shipped reasonably fast. I’ll order more from this seller. Repeat buyer. Love this necklace!